Researchers from Harvard T.H. Chan School of Public Health and the Harvard John A. Paulson School of Engineering and Applied Sciences found that levels of a certain class of chemicals -- called polyfluoroalkyl and perfluoroalkyl substances, or PFASs -- are above what's recommended by the federal government in many public drinking water sources. Study author Xindi Hu told CBS News, "We are interested in this group of compounds -- PFASs -- because they're widely used in a lot of applications." According to the Environmental Protection Agency, PFASs are used in a broad range of consumer goods, such as cleaners, textiles, leather, paper and paints, fire-fighting foams, and wire insulation. Food packaging is another source of PFASs, said Hu, a doctoral student in the Department of Environmental Health at Harvard Chan School and Environmental Science and Engineering at SEAS. She and colleagues compiled and analyzed national data from the EPA, looking at concentrations of six types of PFASs from more than 36,000 drinking water samples collected between 2013-2015. "We considered major industrial sites that participate in U.S. programs," Hu said. They also identified other sites where PFASs are potentially released to the environment, including military fire training sites, civilian airports where fire-fighting foam containing PFASs is used and wastewater treatment plants. The researchers reported that 66 of the public water supplies that they studied -- which supplied water to 6 million people -- had at least one water sample that measured at or above the EPA's safety limit of 70 parts per trillion (ng/L) for two types of PFASs: perfluorooctanesulfonic acid (PFOS) and perfluorooctanoic acid (PFOA), a chemical commonly used in nonstick cookware. In some water supplies, the chemical concentrations were found to be significantly higher than the safety limit: close to five times higher than the safety limit for PFOA in Warminster, Pennsylvania, and 25 times higher for PFOS in Newark, Delaware. In all, the study found that PFASs were detectable at the minimum reporting levels required by the EPA in 194 out of 4,864 water supplies in 33 states across the U.S. Drinking water from 13 states made up 75 percent of those cases. California hd the most instances, followed by New Jersey, North Carolina, Alabama, Florida, Pennsylvania, Ohio, New York, Georgia, Minnesota, Arizona, Massachusetts, and Illinois. Hu said that the highest levels of PFASs were found in water supplies near industrial sites, military bases and wastewater treatment plants. "I think there is enough evidence to be concerned about these compounds in drinking water," said Hu. Even though the EPA's web site says PFASs "are persistent in the environment, bioaccumulative in wildlife and humans, and are toxic to laboratory animals and wildlife, producing reproductive, developmental, and systemic effects in laboratory tests," the chemicals in drinking water are not tightly regulated, said Hu. The EPA only provides "health advisories" suggesting that those who operate and oversee drinking water systems take "appropriate actions to protect their residents." 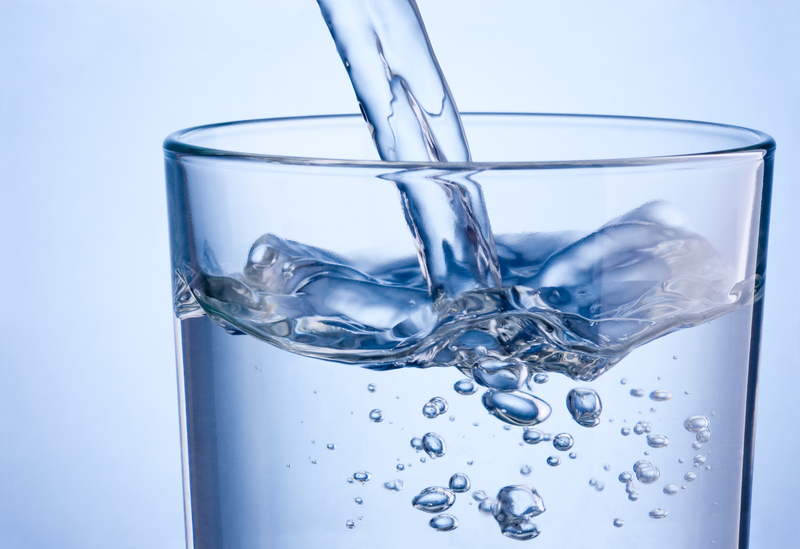 Hu's colleague, Elsie Sunderland, a senior author of the study and associate professor in both the Harvard Chan School and SEAS, said in a statement, "These compounds are potent immunotoxicants in children and recent work suggests drinking water safety levels should be much lower than the provisional guidelines established by EPA." Immunotoxicants refer to compounds that interfere with the function of the body's immune system, potentially contributing to the development of infectious diseases or even cancer, as the immune system fails to fight them off. Hu pointed out that the issue of PFAS chemicals in the drinking water supply may be even more widespread than their study detected, because "a third of the country doesn't have data." That's about 100 million people. "I would encourage people to conduct more studies," Hu said. "I think this study has important public health implications because drinking water affects so many people and we need to be careful about what chemicals we use and how we dispose of them in the environment."